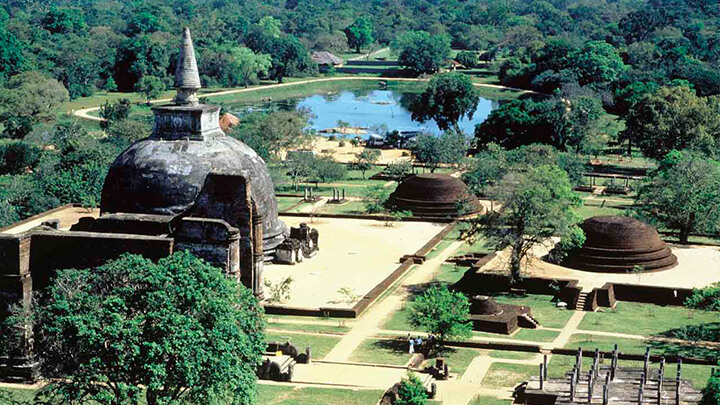 Anuradhapura was once Sri Lanka’s ancient capital and the epicentre of its civilisation for over 1,000 years. Thousands of monks once lived in monasteries here, while 113 kings successively ruled over its flourishing Buddhist culture. What’s left behind is Sri Lanka at its most evocative, a fine emerald landscape generously sprinkled with the legacy of this area’s golden age. Huge dagobas, crumbling temples and monasteries and time-honoured pools make for a rich throng of ancient sites and we’d recommend hiring a bike and pedalling round them for an intoxicating experience. For a more compact collection of historic stupas, tombs and tooth relic temples, wander its ‘little sister’ Polunnaruwa. Despite it being abandoned nearly a millennium ago, you can still get a pretty good idea as to what it looked like in its heyday. Rising out of Sri Lanka’s central plains, a huge, lone boulder is certainly going to catch your eye. But when you learn there’s ancient ruins spread all across its summit, it’s a dramatic sight that will leave you open-mouthed. 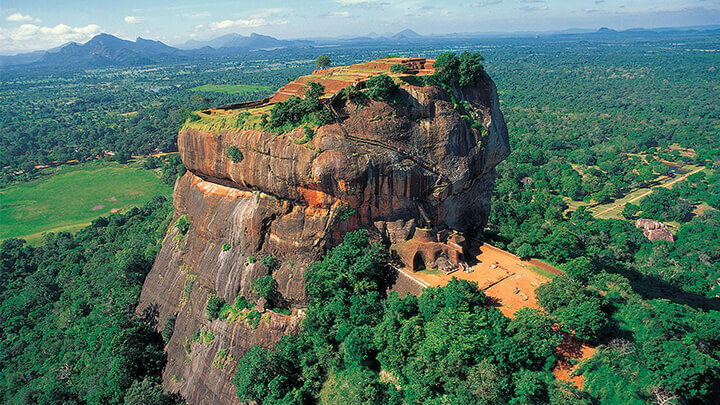 This is Sigiriya Rock Fortress and its otherworldly setting is boosted by the fact its origins are shrouded in mystery. No-one quite knows its beginnings but many believe it was once the seat of the fleeting kingdom of Kassapa. We’re not going to lie – the 1,200 steps to the top are a challenge, but they’re worth it so you can explore the remains of the fortress and soak up panoramic views of the mist-wrapped forest beyond. 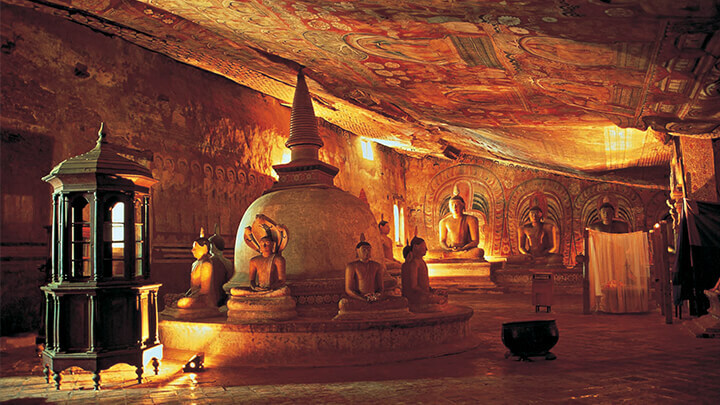 The Cave Temples of Dambulla is another UNESCO-listed wonder of Sri Lanka’s Cultural Triangle. The biggest and best-preserved temple complex in all of Sri Lanka, five caves boast a spectacular collection of standing and seated Buddha statues, each stunningly preserved despite dating back over 2,000 years. Behind the whitewashed entrances to the caves lies an impressive spread of religious art, which has been tinkered with and embellished by kings over the centuries. But make sure you savour the view as well – on a good day, you can see as far as Sigiriya Rock Fortress, over 10 miles away. 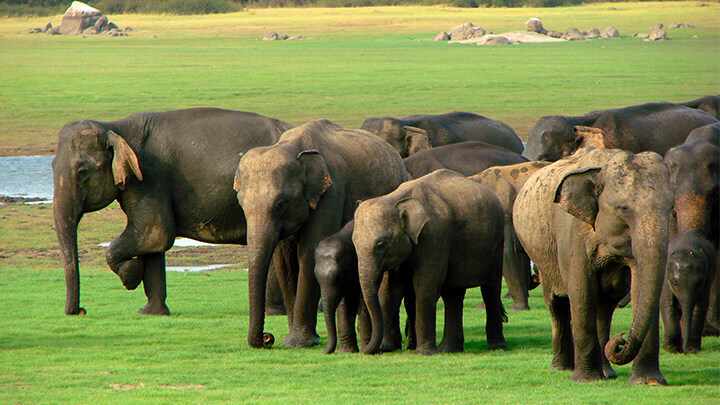 Just a short drive from Polonnaruwa, the scrub and wetlands of Minneriya National Park makes it one of the best places in the country to spot wild elephants. The density of the trees here also provides shelter for a rich array of wildlife, including sambar deer, buffalos, macaques and the elusive leopard. Visit in the dry season between June and September and you can watch around 200 elephants slake their thirst at the Minneriya Reservoir, a spectacle known as ‘The Gathering’. One of the best-kept secrets near to the Cultural Triangle, Wilpattu National Park retains a genuine wilderness feel thanks to many visitors looking past the area. While the dense jungle can make wildlife-spotting trickier than other places in the area, in our eyes that just makes it more rewarding. 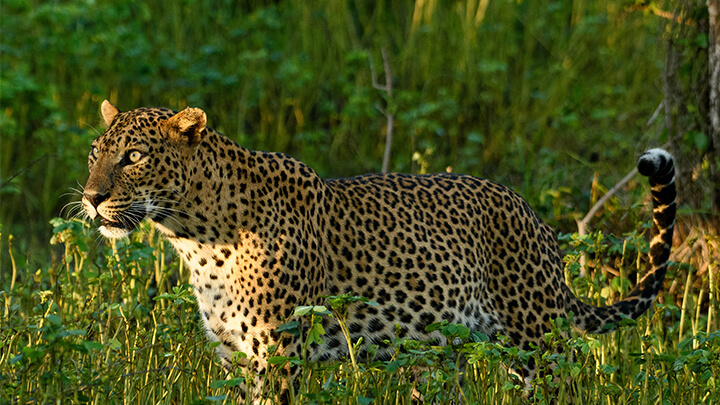 Jeep safaris are the best way of tracking down the park’s residents, with leopards undoubtedly the star, while elephants, sloth bears, water buffalo and more roam these wonderful wilds.